We partnered with Z Living Network and Finding Fido to bring you this post. As always, we only share information we think will interest our readers and all our views are entirely our own. If this Valentine's Day your thoughts turn to finding your true love, you may want to check out this new matchmaking show. There's sure to be drama, indecision and intrigue. Only on this show there's no doubt that everyone is there for the right reasons! That's because instead of human couples, host Seth Casteel is pairing people with pooches! 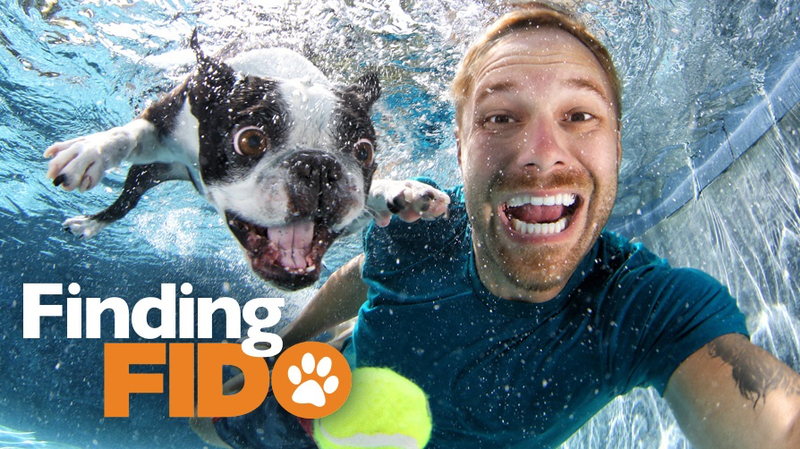 On each episode of Finding Fido, the new original television series for dog lovers on the Z Living Network, families meet with three different adoptable dogs in order find the perfect fit for both the pups and the humans, promoting smart adoption. Finding Fido airs Tuesdays at 9 p.m. on the Z Living Network. Blackjack is one of the three pups you'll meet on the Valentine's Day show, Feb. 14 at 9 pm! Each week a different family or person is featured who is looking for the perfect match for their lifestyle. On February 14th we'll meet the Pleasant family. 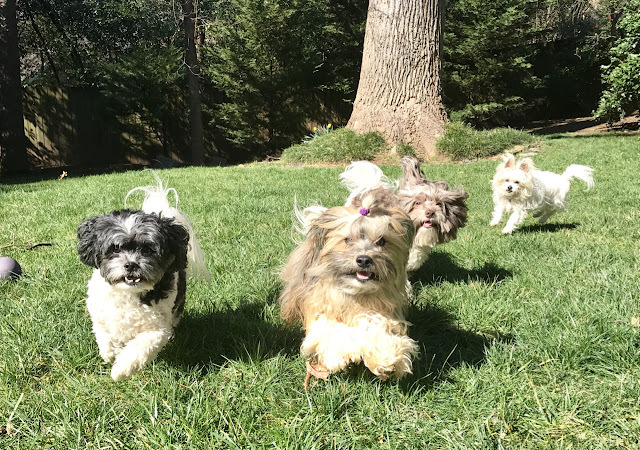 Parents Chris and Kali are looking for a smaller dog who will be a perfect companion for their young daughter Brooklyn and also have the energy and right temperament to help the family stay active, while also keeping up with their fast paced city lifestyle. Sounds to me like they need a dog a lot like my pup Rocco! Here's a sneak peak at the Feb. 14 episode. 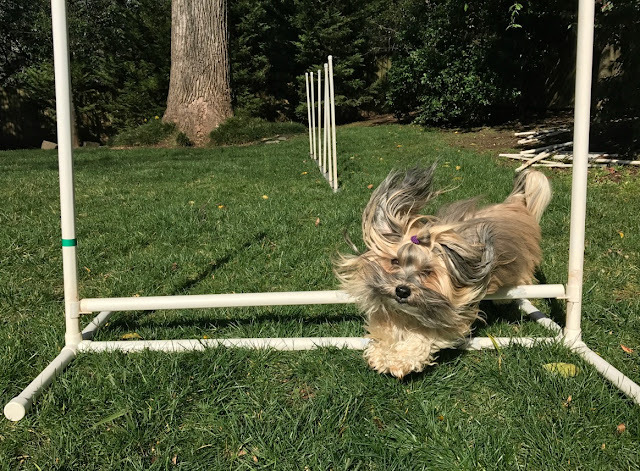 We love to stay active doing doggie things and that's just one reason we're loving this show. In all the episodes we've seen, the emphasis is on finding the right companion to suit your healthy lifestyle. And what's really cool is that small dogs are getting attention too for the active little guys that I know they can be! Certainly Rocco is no slouch when it comes to activities, whether in the backyard, on the hiking trails or at agility trials. Here's Rocco with a few more of his little friends! 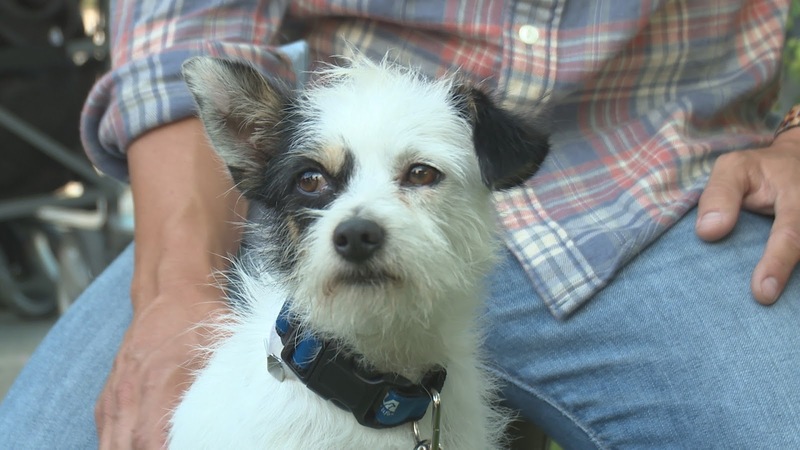 We can't wait to see who Brooklyn chooses to be her new companion on Finding Fido this Tuesday night! If host Seth Casteel sounds familiar to you, that's because he's also the photographer and author of the New York Time bestselling book Underwater Dogs. We had the pleasure to meet Seth earlier this year. He's such a terrific guy and dog lover... the perfect host for this show! Find out where to watch Z Living near you. If it's not available yet in your area you can also watch it online. And more about Finding Fido at zliving.com/finding-fido. Great site for sharing ideas. So far! you can read these Informative articles also. Your Article are good i Keep reading your article Thank you for sharing this great post i have few more please read this article as well. یکی از علل اصلی تیرگی زیر بغل و تیرگی واژن استفاده از ژیلت و عدم رعایت بهداشت نقاط حساس بدن است که امروزه بسیاری از زنان و مردان را درگیر خود کرده و همه به دنبال روشی سریع برای رفع تیرگی زیر بغل و یا رفع تیرگی واژن هستند. اما یکی از باصرفه ترین و موثرترین روش ها برای درمان تیرگی زیر بغل و واژن استفاده از کرم رفع تیرگی زیر بغل است که بیوبالانس نام دارد. بیوبالانس سابقه ای چندین ساله در تهیه و عرضه کرم رفع تیرگی واژن دارد که مطمئنا تمامی تجربه های خود را در این زمینه به یدک کشیده و در محصولات خود برای شما عرضه می نماید.